This is the first time I’m doing a year-in-review style post simply because this year was MASSIVE on so many levels – personal AND business. Our word for 2017 was SURGE. For the last few years, Mayank and I have used Word of the Year to set an intention and to keep our focus on what matters. It helps us make decisions both for our personal and business life. ‘Surge’ was our Word of the Year for 2017 because that’s exactly what we wanted – to make massive strides, and happily enough that’s just what we did. 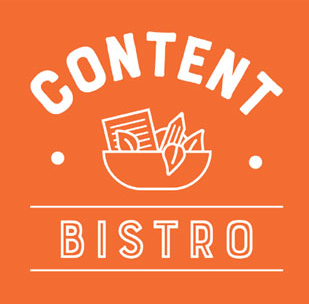 Worked with 36 new clients, including incredible folks like Amy Porterfield, April Wilson Perry, Katrina Springer and SO many more on a range of copywriting and content marketing projects. Grew our email list to 6,000 subscribers. Featured as a guest expert for programs like, Bushra Azhar’s Sold Out Launch, Copy Hackers 10X Launches, Genius Bloggers’ Toolkit by Ultimate Bundles and Jenny Fenig’s Get Gutsy Coach Training School. Got published on Forbes and Jeff Bullas’ blog. Attended 5 conferences and met SO many amazing people in real life!! Reached the $200K/year milestone with ease and grace. I quit sugar and dropped 24 pounds. Took 4 vacations, including one to Thailand. Took a FULL 3 weeks off when I travelled to the US. 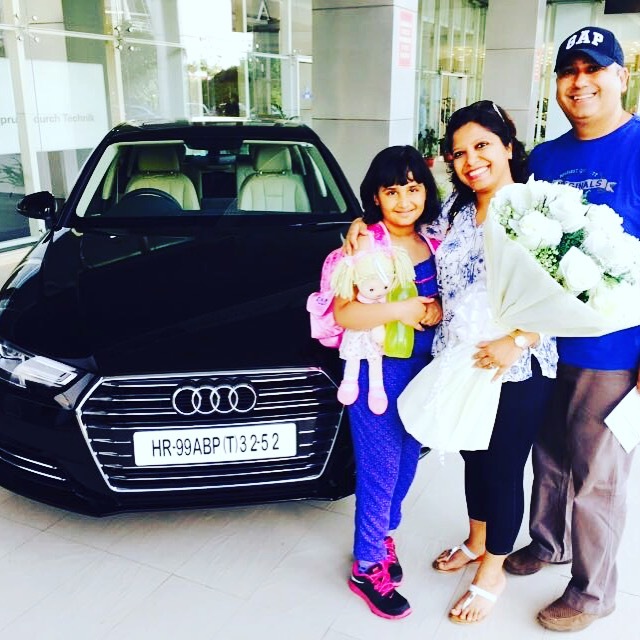 Bought our dream car, the Audi A4. Yes, 2017 has been an incredibly growth-filled year, indeed. Growth and learning go hand in hand, and I want to share not just what we accomplished in 2017 but what we learned as part of that growth so you can take our lessons and use them to surge too and avoid certain pitfalls that come with massive growth. 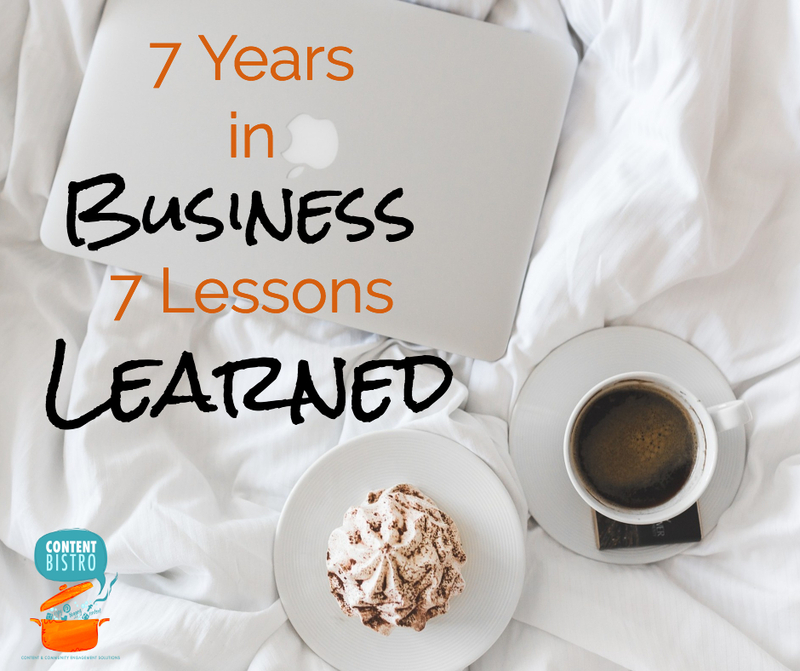 2017 was also our 7th year in business, full-time, and it’s pretty neat how we have 7 lessons for entrepreneurs lined up for you. Growth often means juggling a billion and one balls in the air and when you’re a service provider, like yours truly, who also has products to sell and a blog to run along with living a life, the multi-tasking gets a bit manic at times. 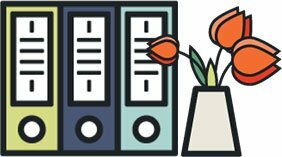 However, processes are a sanity-saver and one of the key lessons, we learned this year, was to streamline our processes and automate a whole bunch of them so things don’t fall through the cracks. 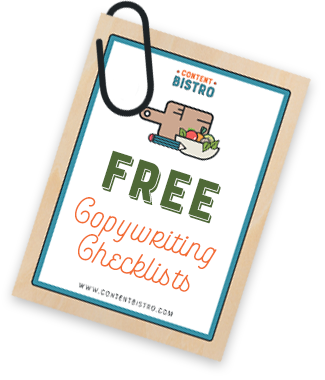 It’s still a work in progress and we’ll be working really hard on this one in 2018 especially because we’ve also signed up for 10X Freelance Copywriter with Joanna Wiebe and it focuses a LOT on the processes bit. In case, you didn’t know this already… I’m an ISFJ and I don’t do well with boundaries. I want people to like me and often, that means saying ‘yes’ when really I’m screaming “NO” inside. However, like processes, boundaries are vital if we want to grow further. Boundaries help when working with clients so they know exactly what to expect and when. Boundaries also help in our personal life so we don’t feel over-extended and exhausted but energized and excited. Setting boundaries is what I’ll be focusing on as well when it comes to my personal habits, like my current unhealthy-bordering-on-obsessiveness-relationship with my cell phone. So, yes, learning to set boundaries is another lesson we learned in 2017, and we’ll take this lesson with us into 2018. One of those who wake up at 4:30 AM and gets a chunk of work knocked off before the rest of the world even hits their snooze button! Sleep? Sleep is for the weak! However, in 2017 as I continued to deal with horrible episodes of vertigo early in the year, I developed a whole new appreciation for rest and even sleep. I found my body responded quicker and functioned WAY better when I was rested. Cutting back on sleep is no longer an option for me. Close on the heels of my sleep deficiency epiphany came the decision to be healthy by excluding sugar altogether from my diet, a step that was scary. If you’ve known me for any length of time, you’d know that desserts and unhealthy, sugary snacks, like Nutella, have a special place in my life. BUT things changed. My body reacted to the high sugar levels. Chronic exhaustion, an ovarian cyst condition and plenty of irritability and mood swings to make being around me a somewhat unpleasant experience… I knew something had to change. However, if there’s one thing I knew about myself it was that I couldn’t do something SO huge on my own. I hired a personal nutritionist and made a massive investment in myself. Meeting her every week, in-person, meant that I stayed accountable and on track and 4 months later, I was happily off sugar 100% and a sweet 24 pounds lighter too! Today, I do enjoy the occasional piece of chocolate or a cookie but I use healthy sweeteners like raw honey and unrefined cane sugar or keep my snacks and desserts sugar-free, completely. 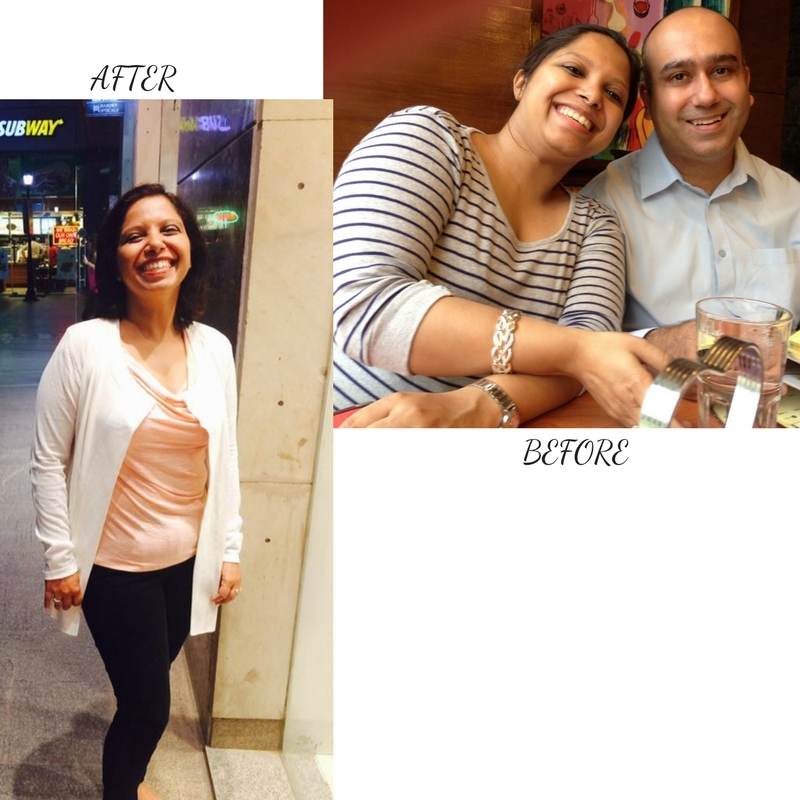 The other benefit of working with my nutritionist was she started me on a workout plan that worked for me – power walking. I’m hooked. I power walk for 30-45 minutes a day and use that time to listen to podcasts so it doesn’t even feel like exercise! All these healthy changes have had a HUGE impact on my productivity, focus and overall well-being. I’ve got more energy, zero pain and am happier too! Speaking of happiness, Mayank and I place a ton of emphasis on our mindset. From surrounding ourselves with like-minded, fired-up-and-focused fellow entrepreneurs to reading books to changing habits that hinder our growth, we’re constantly working on our mindset. In 2017, I took Denise Duffield’s Money Bootcamp for the 3rd or maybe, 4th time and as always it really helped me to uncover my blocks, work on my ‘stuff’ and shift my mindset. It always works for me, like magic. Not surprising then that we’ve gone on to smash our previous best year ever record with a $200K year, this year! I’ll be doing Money Bootcamp again in 2018 when Denise opens it up because working on our mindset is a constant work-in-progress and if you’d like to join me, pop in your details below because I’ll have some special bonuses for YOU! We’ve always prided ourselves on running a value-based business. That’s who we are. We don’t do debt. We don’t guilt trip our audience. We don’t do sleazy hype. We don’t do clickbaity stuff. However, it’s important to keep these values front-and-center because in the noise, glitz and glamor of the online world, it’s easy to forget and find yourself getting swayed by what everyone else seems to be doing. Revisiting our core values often during this year helped us to readjust our path, stay focused on our grass and come back to what was true for us. Finally and most importantly, this wasn’t a new lesson that we learned in 2017 BUT bears repeating because it’s SO important. Identify what you need to learn, learn it and then, implement it! The truth is, when you’re neck-deep in running a business, working on client projects and trying to live your life, it’s easy to buy courses but not implement them. Mayank has shared earlier how we ensure we implement every course we buy but this year we weren’t so good about it. #honest. We bought courses but let work and life get in the way of implementing them. However, we’ve identified that we need to fix this and that’s why from now until March 2018, we’ve got our blinders on and are in massive implementation mode to put into effect all the different courses we’ve invested in. Time to reveal our word for 2018. After a lot of deliberation, discussion, reflection and prayer, we’ve chosen THRIVE as our word for 2018. Because we set the foundation and pace for growth in 2017 and now it’s time to consolidate these efforts and really flourish in 2018. 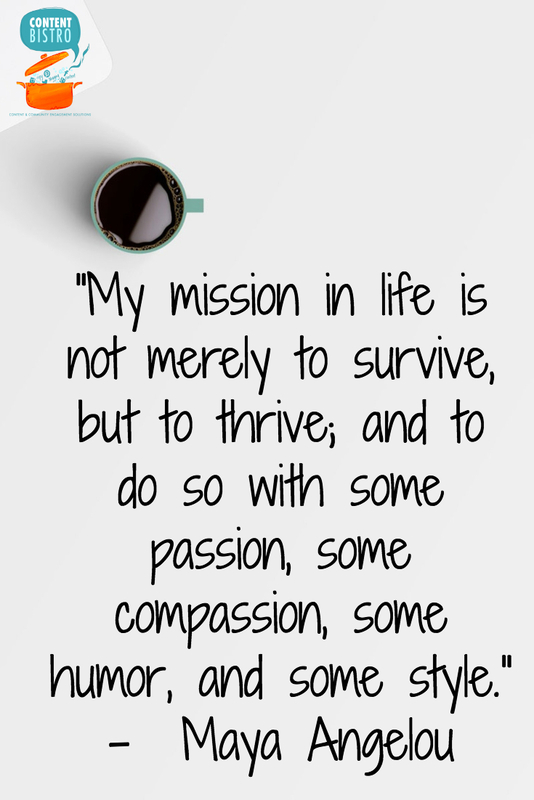 Thrive also reflects how we want to do this – without the burnout, the exhaustion and overwhelm. What are our business and personal goals for 2018? I’ll be sharing those in our Facebook Live next Saturday! Meanwhile, in the comments below, share with me YOUR key lessons from 2017 and if you have a word for 2018, share that too!! Dear Prerna and Mayank, thanks for your beautiful honesty. I signed up for umpteen courses this year and didn’t even get to the end of some of them. My new years’ resolution is to FINISH THOSE DANGED COURSES. I also intend to work on my website. Edit the embarrassing old posts. Set up my about page and contact page etc. Keep doing client pieces for my agency until I feel reasonably confident about fishing for clients of my own. Oh, yes and I’ve a ton of copywriting ebooks to read and videos to watch. Keep on being fired up and inspired. Because you are the dominos which inspire others with the knock-on effect of your amazing energy. I see you’ve taken to the gur. I have started putting gur in my husband’s chai. As for mine, I take green tea. Without milk or sugar. You look fantastic, Prerna. Well done.